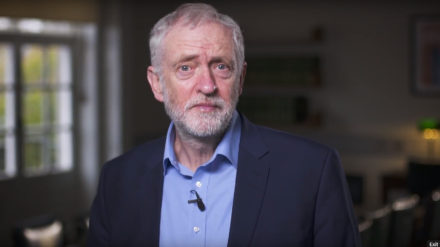 Jeremy Corbyn today piled pressure on Theresa May when he published his tax return, which showed he had paid nearly £50,000 to the exchequer. The Labour leader and John McDonnell, the shadow chancellor, released full copies of their submissions and challenged May and Philip Hammond to do the same. Party leaders cannot expect voters to trust them, Corbyn said, if they are not prepared to be “open and honest” about their tax affairs. The prime minister and chancellor have refused to publish their own tax returns. May did release hers, however, in summer 2016 when as home secretary she was running for the leadership of the Conservatives. Today Corbyn’s return showed he earned £136,762 in 2016/17, including his MP’s salary, the extra sum awarded for being leader of the opposition, and pensions. “Tax avoidance and evasion deprive our public services of tens of billions of pounds every year and will only be tackled if we have the political will to do it. Corbyn’s return shows he has no other paid positions, receives no payments from property and holds no shares. McDonnell’s filing showed he received an income of £87,353, comprised of his MP’s salary and pensions, and paid tax of £24,099.20. “I have again published my full tax return. I have done this every year as shadow chancellor because I believe if you aspire to be in charge of the nation’s finances then you should be as open and transparent about your own income as possible.